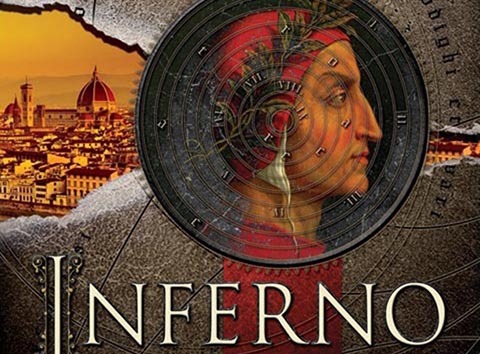 If you haven't read Dante's Inferno, then maybe these short clips explaining each circle of hell from the said masterpiece may as well prepare you for Dan Brown's upcoming and latest thriller. There are nine circles of Hell in Dante's realm, one for every mortal sins and more for Limbo. So far there are five videos that are released. One is for the Envious and the other for the Gluttonous and soon. You could watch them below. In Purgatory the eyes of the envious are sewn shut with iron. In the Third Circle, sinners lie in a foul mud, drowned in an icy rain. And here's another one for Greed, accompanied by this very words: "For those who want more than just a book..."
In the Fourth Circle, the avaricious and the prodigal forced to push huge stones endlessly. In the Second Circle, lovers battered by a howling wind. The Prideful Giants ring the Ninth Circle, bound in chains utterly helpless. Sloth breaks the strength until man is good for nothing. In the Fifth Circle, the angry battle eternally in the river Styx. 9 Circles. 7 Sins. 1 Secret. I quote from Dan Brown's official Facebook page, "For the fans, an exclusive preview of the U.S. television commercial for INFERNO. The new Dan Brown novel is available May 14, worldwide."